SELLER IS OFFERING $5,000 BUYER INCENTIVE! READY FOR MOVE IN! SHOWS BEAUTIFULLY! 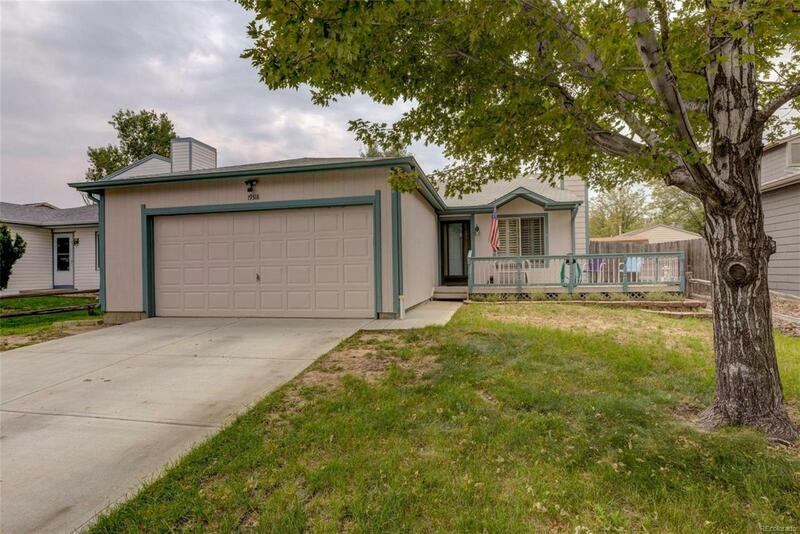 WELL MAINTAINED TRI-LEVEL HOME WITH WOOD GRAIN PORCELAIN TILE FLOOR THROUGH MAIN LEVEL/4" WHITE MOLDING. NEW PAINT, RESURFACED CABINETS WITH UPGRADED HARDWARE. NEW KITCHEN COUNTER TOPS WITH STAINLESS STEEL SINK, NEW GARBAGE DISPOSAL. FIREPLACE HAS RED BRICK LOOK ALIKE TILE AND RESURFACED WHITE WOOD, TV AND MOUNT INCLUDED. FULL BATH COMPLETELY UPDATED, NEW PAINT, SUBWAY SURROUND TILE, TUB FIXTURES, VESSEL SINK/WATERFALL FAUCET, COUNTER TOP AND GREY TILE FLOOR. EXTERIOR PAINTED 3 YEARS AGO, GARAGE DOOR MOTOR AND RAILING REPLACED 3 YEARS AGO. FRONT AND BACK DECK, STORAGE SHED. ALL APPLIANCES ARE INCLUDED. 3rd BEDROOM JUST NEEDS DOOR OR CAN BE USED AS FAMILY ROOM.